Chinese tablet makers Cube and Chuwi have launched new retina display tablets equipped with displays sporting a resolution of 2048 x 1536, the same as Apple’s new iPad, but for under $300. The two tablets in the form of the Chuwi V99 and Cube U9GT5 are both running Google’s latest Android 4.1 Jelly Bean operating system, and are fitted with 9.7 inch Retina displays. Both Android PC tablets are powered by 1.6 GHz Rockchip RK3066 ARM Cortex-A9 dual core processors, supported by 1GB of RAM and are equipped with Mali 400 quad-core graphics, and 16GB of flash storage, with microSD card slots providing extra space when required. 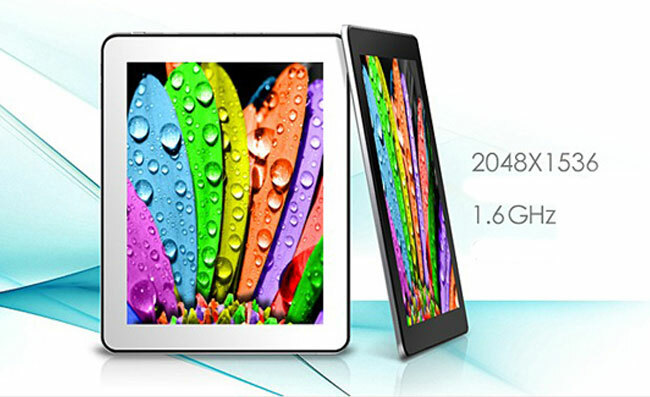 Other features of both the tablets include 2 megapixel front and rear facing cameras, Bluetooth 2.0 and 802.11n wireless connectivity, with 10 hours of juice provided by their internal batteries. The Cube U9GT5 tablet is priced at $266 and the Chuwi V99 is priced at $290.